The Canon fans are always keen on the latest release of the cameras and the features equipped in it. The Canon cameras come with pretty good sensor resolution. Canon EOS 70D features 20.2 million-pixel CMOS sensor combined with a Digic 5 processor. The camera has rapid focusing while Live View and video mode. 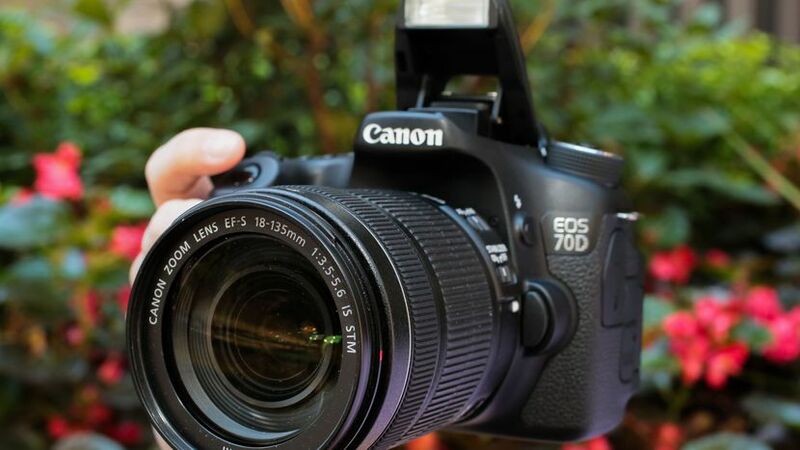 The 70D can click at 7fps and HD resolution for about 65 JPEGs or 16 raw files. It is essential for recording sport and the endless focusing ability. The native sensitivity range is ISO 100-12,800 which can be expanded to ISO 25,600. 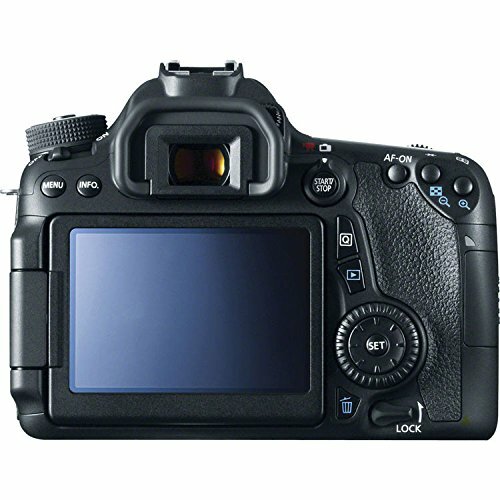 Canon 70D includes full HD touchscreen of 3-inch 1,040,000 dot LCD which allow you to customize settings modifications and view captured pictures. It contains all the physical buttons which are present on various high-end cameras. You will not miss any physical buttons in the 70D camera. Moreover, the best thing is that the LCD display is on an articulating joint which will allow you to efficiently see your pictures from wide angles no matters, you the images is of landscape or portrait format. It is powered by DIGIC 5+ image processor which offers good performance. It features Silent’ shutter mode along with 63-zone iFCL metering system. It records high-quality videos at 1080p30 video recording with advanced stereo sound through an external mic. It comes with 9-point AF system with all points cross-type as well as sensitive to -0.5 EV. The cameras are capable of 98% viewfinder coverage, 0.95x magnification, switchable gridlines and electronic level screen. It has a Single card slot which supports SD/SDHC/SDXC. The camera includes built-in High Dynamic Range and Multiple Exposure modes available in JPEG format. 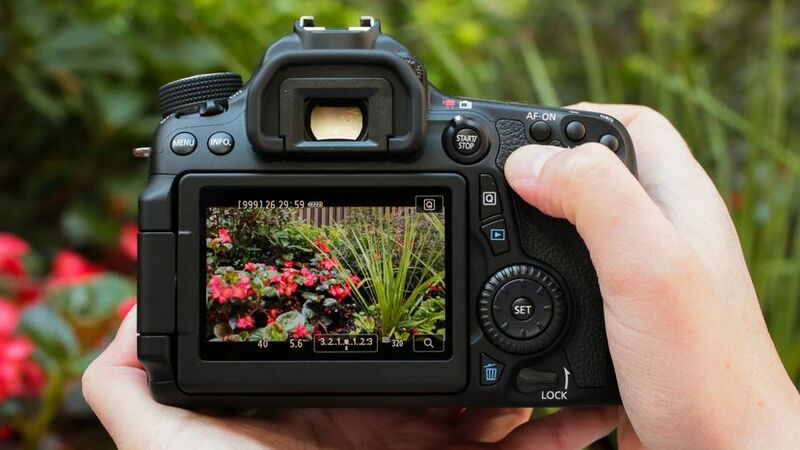 The Canon EOS 70D is equipped with latest technologies so it also features Wi-Fi connectivity which is popular in most of the high-end cameras. It is one of the essential features in latest cameras. The Wifi is 802.11b/g/n standards and about 30m/98.4 ft transmission range which will help you to connect your smartphone ar wide distance. Remember, the movie mode is automatically turned off while using Wi-Fi and an electrical connection to a PC or printer. You can uses the Wi-Fi to transfer images from Wi-Fi-equipped Canon devices, connect phones through EOS Remote, use the camera from a computer using EOS Utility, print via Wi-Fi approved printer, upload images, and view images on DNLA devices. The 70D model battery doesn’t drain faster while using the built-in Wifi connectivity. It will drain only while you are using the camera and for long. It drains faster when in sleep mode. However, if you often forgot to switch it off and leave it in Sleep mode or forget to turn off the WiFi connectivity, then the power management system will help you to conserve the battery power. It packs 7.2V, 1,800mAh lithium-ion LP-E6 battery which offers up to 1000 shots while recording in the viewfinder. 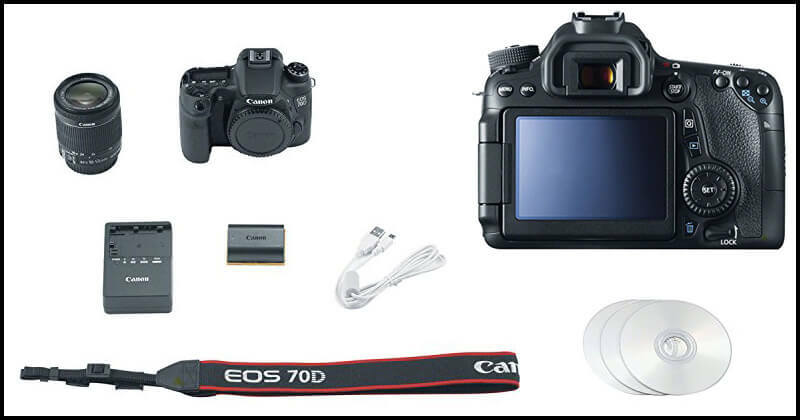 The Canon EOS 70D is considered active, after startup to autofocus, and presently combining autofocus in live view. The startup is rapid which has a sufficient range of 0.15 second. The Autofocus is accurate in live view as well as in traditional phase while the AF section is limited to a particular point or a petite group. 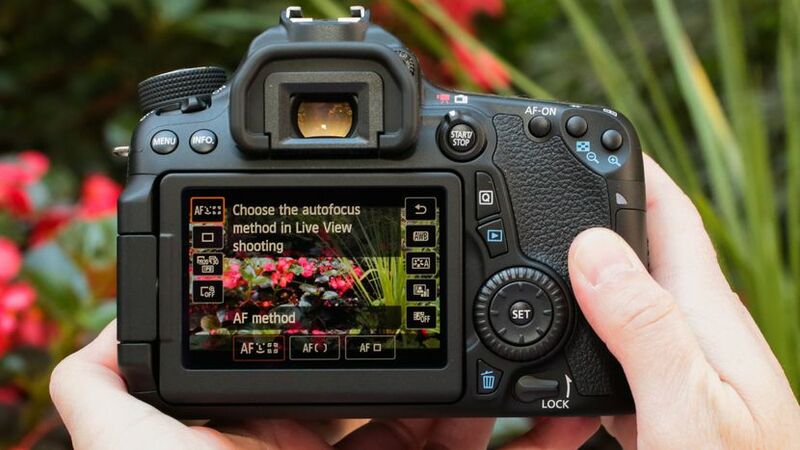 The EOS 70D rapidly connects to the input, along with fast settings and adaptation of controls. The overall performance of the camera is great. It doesn’t lag in between your photo sessions. You can click pictures in every mode without any problem. So, this was the full review of Canon EOS 70D which is the best camera manufactured by one of the most popular DSLR brands. You can purchase the camera exclusively from Amazon. So, you can click on the above link to buy it right now. The price is also affordable which is another plus point of the camera. 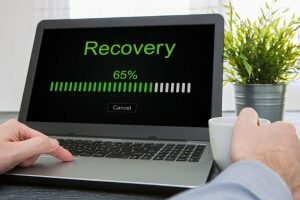 You can leave your comments below if you liked this article. Must share it with your friends who are searching for the best option.